Posted on Wednesday, December 16, 2015 by "T". There are only six players left after 5 thrilling days of poker in Prague. Ilkin Amirov will lead the remaining players into today's final table with 9.9 million in chips. 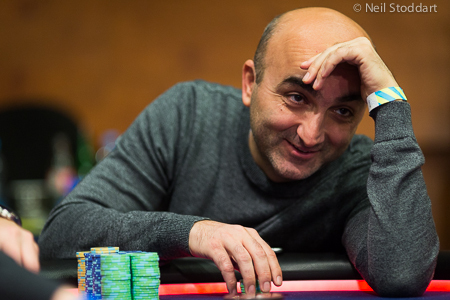 Amirov, who is the first person from the former Soviet Republic of Azerbaijan to make an EPT final table, slowly worked his was to the chip lead early on Day 5.